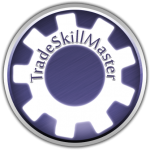 TSM4 is the latest update to the popular addon Trade Skill Master, that all-singing all-dancing AH and crafting addon. Come on over to Twitch and watch me learn all the new functions and operations in TSM4. Join in with chat and ask questions and we’ll figure it out together, live. 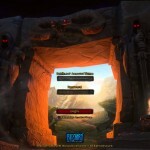 Drag and Drop functionality. Quite simply gorgeous. And simple. Need something moving? Move it. Accidentally added one too many items to the crafting queue? You no longer have to delete the whole queue and repopulate the list. You can increase/decrease the number in the queue, straight from the queue, one at a time. Crafting Reports. 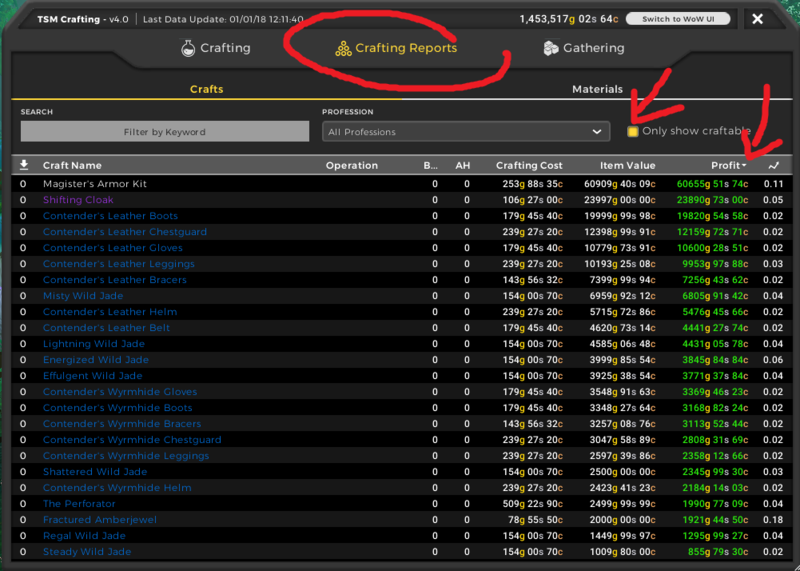 Only showing what you can craft immediately with the mats in your possession, and to order it according to profit. Easily add those to the crafting queue. So you only craft the items that are the most craftable. 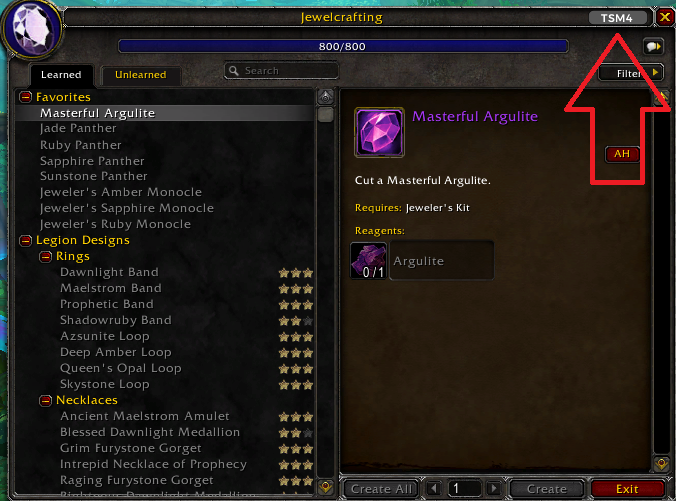 You can see how many times an items has expired on the AH. You can filter out any item that has a sale rate below X (example, 0.2) in order to focus on popular items or to make a slow-sellers group. You could send all the slow sellers over to a “long tail” alt. 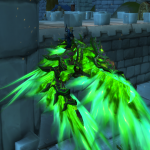 Example “If transmog is not sold after x times listed, send it to an alt for disenchanting, unless it’s better value to vendor it, because any profit is being destroyed by the posting costs”. Even more powerful logic functions. If you’re a mathematician or a coder, and Regular Expressions are your bag. (I’m not, and they’re not!) 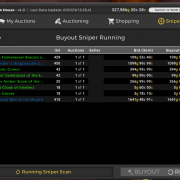 You will love the improved power these will bring you in the auctioning operations you add to your groups. Read Muffin’s blog post for more on this. It’s got pride of place at the top of TSM and works super well. If sniper has found an item that you don’t want to snipe, click it to make it go away and get out of your face! A little exclamation mark shows that it’s new. Mouseover to get your X for deleting the item from the list. The slooooowwww times. 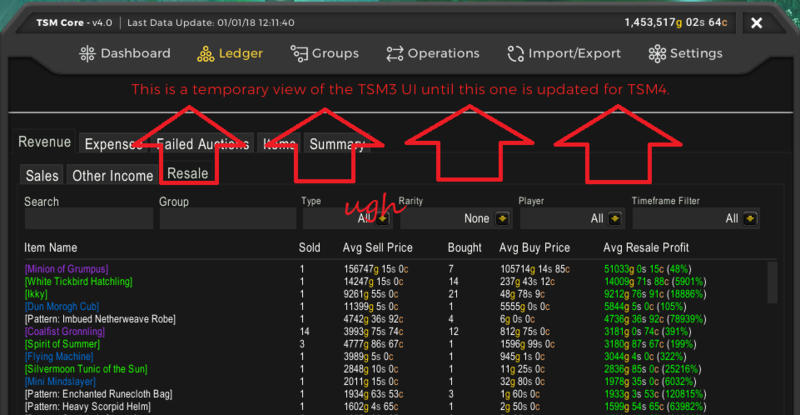 Probably because it’s still in development, maybe some clash with one of my other addons, who knows, but TSM4 is slowwwwww. I’ve taken to using Auctionator sometimes! The missing parts! 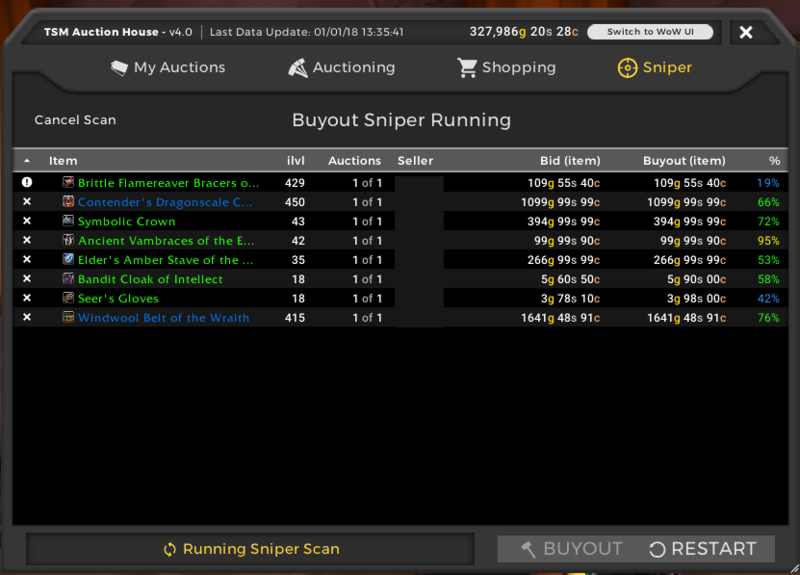 TMS4 currently doesn’t show items in your inventory and bank like TSM3 did. 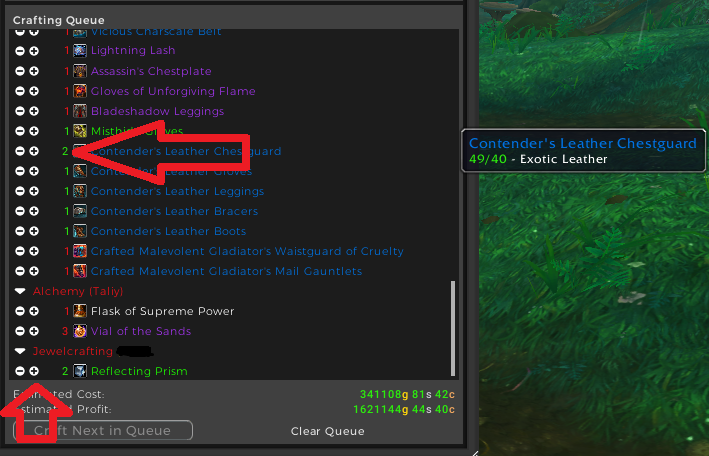 I’m told that this will be added under “Ledger” before TSM4 release. The loss of groups! 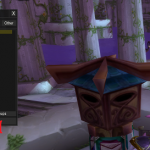 If you try TSM4 Beta right now, your new TSM4 groups cannot convert back to TSM3. 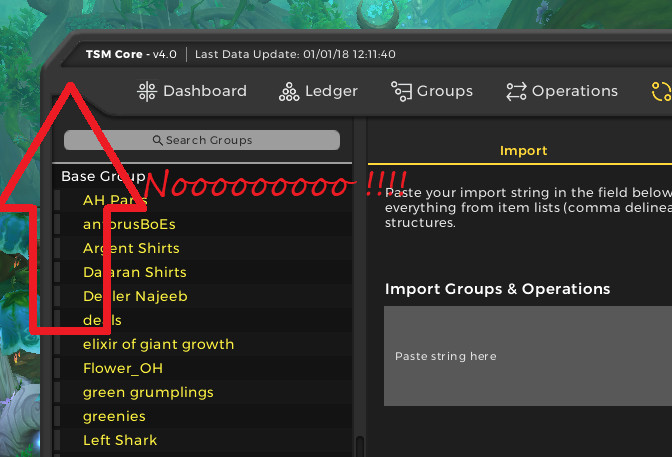 So if you revert back to TSM3, your TSM4 groups are gone. Forever. Imports/Exports. 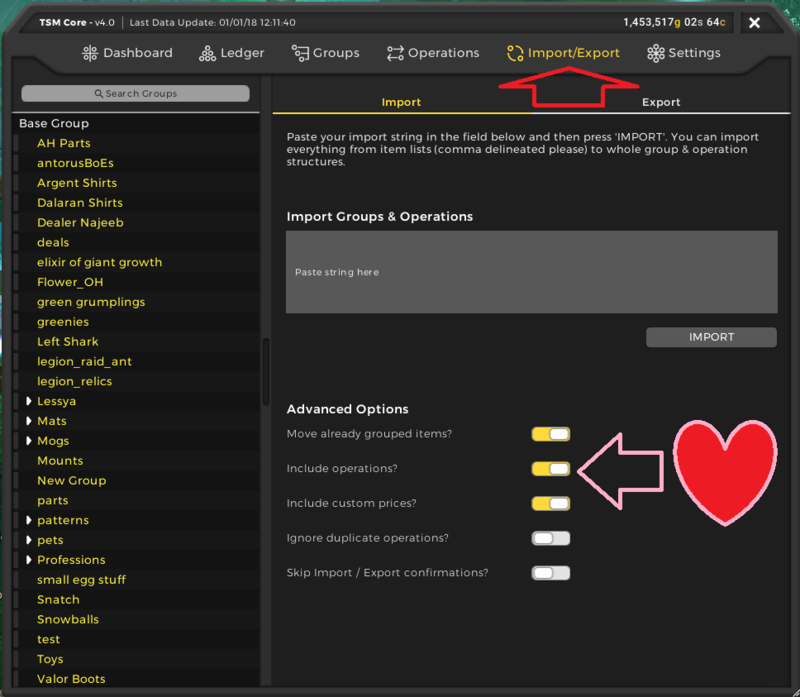 The functionality that allows stuff like Sheyrah’s famous groups to be exported from her copy of TSM4 and imported into your copy of TSM4. 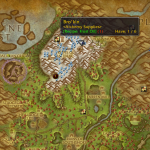 It has been expanded and updated for TSM4. For you that means you can much easier jump straight into TSM and cut n paste other people’s settings: their groups and associated operations. For me that means I’m under greater pressure to produce and give you groups for free. More work! 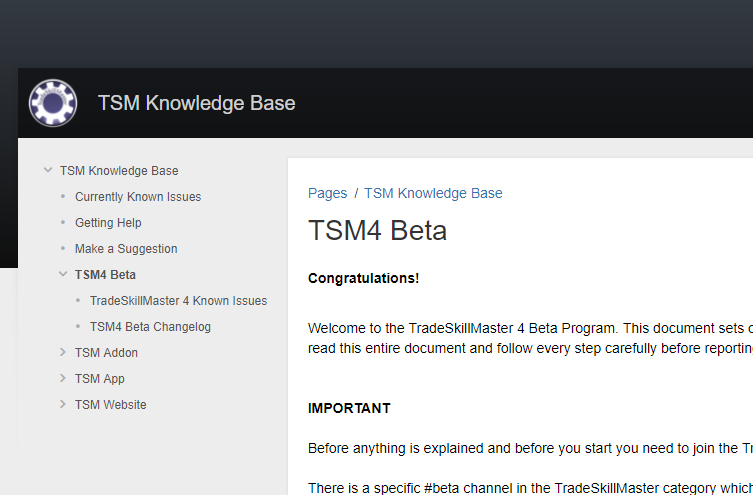 If you want to get into TSM4 right now and try it out in beta, then sign up for TSM Prime. 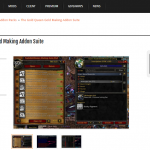 Don’t want to donate but want the free addon? No worries, sign up for the beta here. Here comes the Gold Making Mafia What is Your Gold Making Secret?